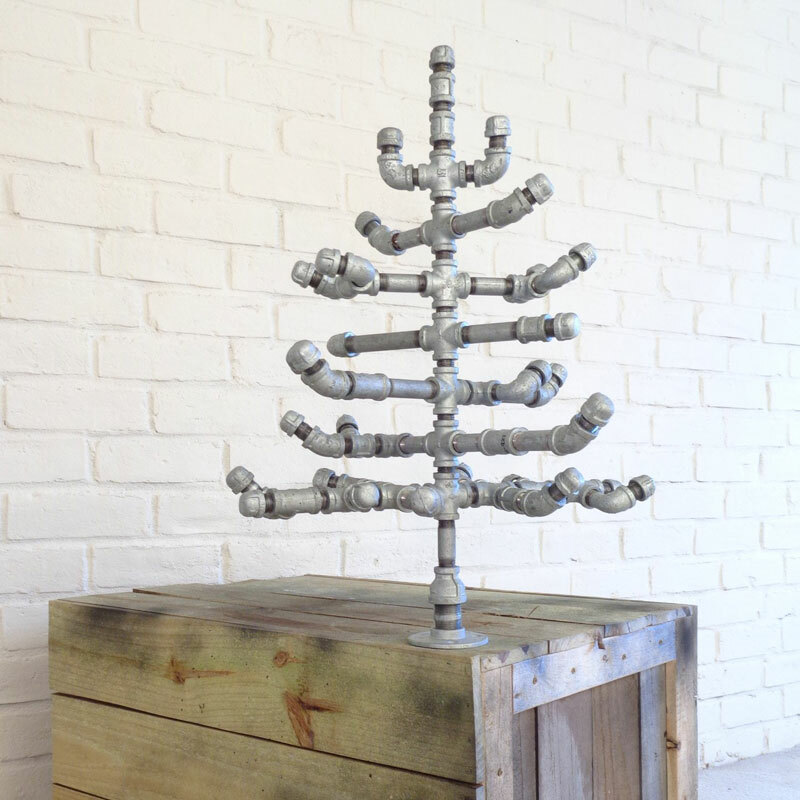 How's about a little industrial plumb pudding under the Christmas tree this year? 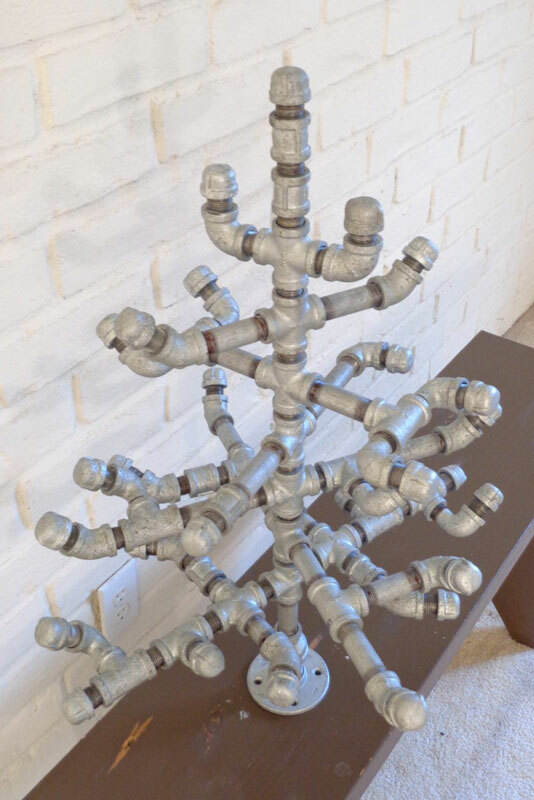 The Urban Arboretum has created this standout design, made of galvanized steel pipes, for anyone tired of the same ol' same ol' fir and pine. 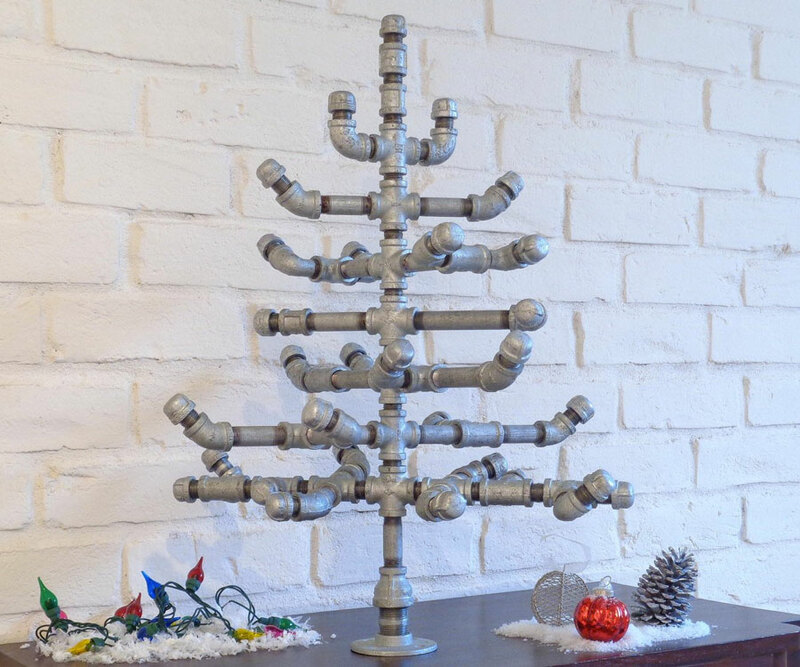 Yes, an industrial pipe Christmas tree will set you back a precious $800+, but in addition to lasting for many holidays to come, it's a handmade piece of sculptural decor that could be set up in the right loft or Mr. Rooter office all year long. The Urban Arboretum will ship your Christmas tree o' pipes - all 24 pounds of it - fully assembled and ready for display. Total height is 28", and diameter 21". The Galvanized Steel Pipe Industrial Christmas Tree is a top Dude pick for festive Christmas cheer. Or if you're feeling the industrial look, but not the Christmas cheer, check out this steel pipe Fishing Man Table Lamp.